It's my month for stamp club so I need to get my order figured out for what I want? I've been really enjoying our stamp club meetings. We've learned something new everytime. Its funny to see thing up close and personal that you may not have liked in the catalog but once seen in a project you love them. 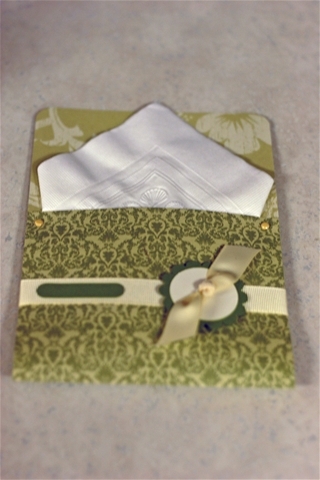 Then we did a napkin holder - really cute idea for the upcoming Thanksgiving holiday as even placecards. 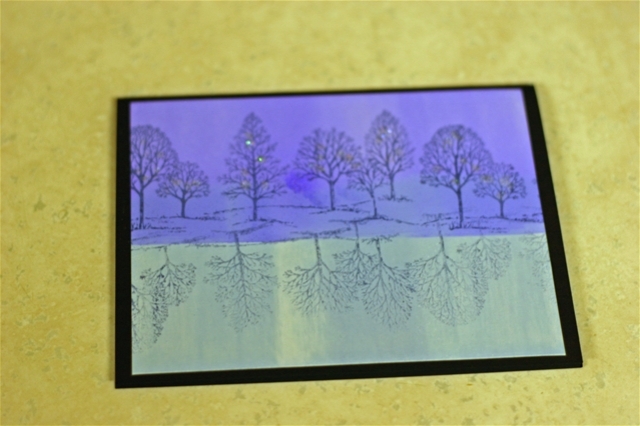 It's a 5 X 12 " sheet of decorative stamping up paper folded up and held with brads and then corner rounded at the top. Then we wrapped ribbon around and punched a hole in the center of the scalloped circle to bring the ribbon through and tie the knot. Very quick and simple, yet looks great! Our final project was one of my favorites. We took a regular paper bag and cut it down. 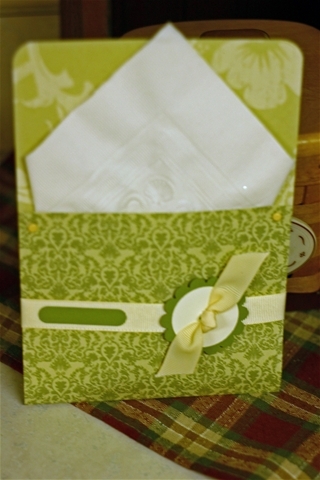 Then decorated two pieces of cardstock (approx 5 1/2 X 5 1/2) but it would depend on your bag size. 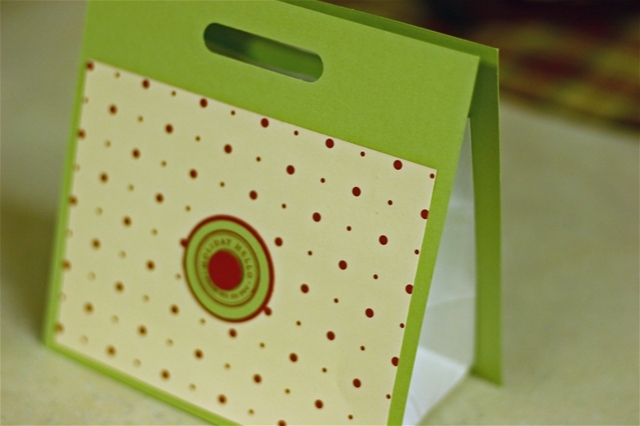 Then we punched holes in the top for handles and taped that to the bag. So cute!